There is an NCP car park on the opposite side of the market which runs under the meat market. The Ground Floor bar has DJ's playing every Wednesday, Thursday, Friday and Saturday night. A celebration of London’s only functioning meat market, No.3 is found within the Grade II-listed ‘Smiths’ of Smithfield. 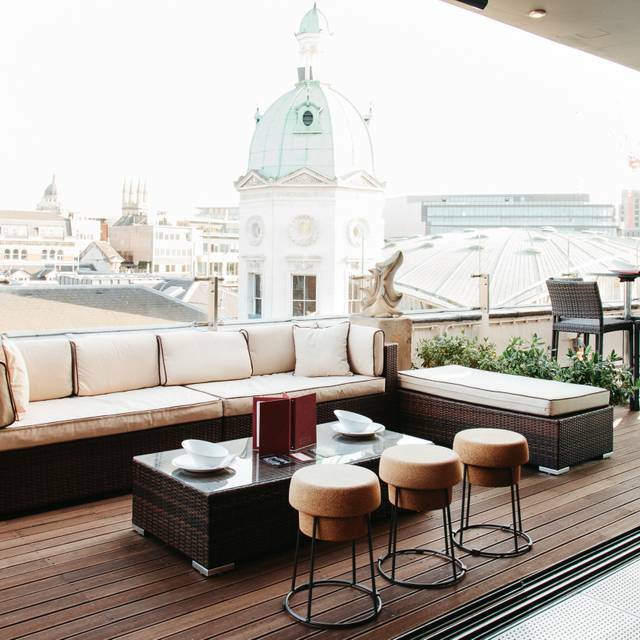 On the roof of this 4-storey building, No.3 offers stunning London panoramas from the sweeping terrace, and from the open-plan dining room with its floor-to-ceiling windows. 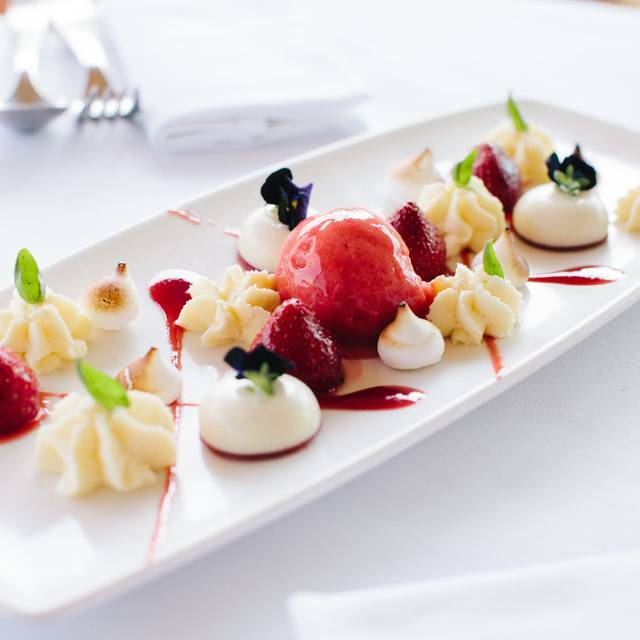 Sourcing ingredients from trusted suppliers, our Head chef Liam Walsh, has created an exceptional menu. 28 day aged Scotch beef wellington to share, roasted halibut and Dorset crab to tempt your palate. A library of wines awaits you at SMITHS including both easy-drinking bottles, and some of the most sought-after vintages available. 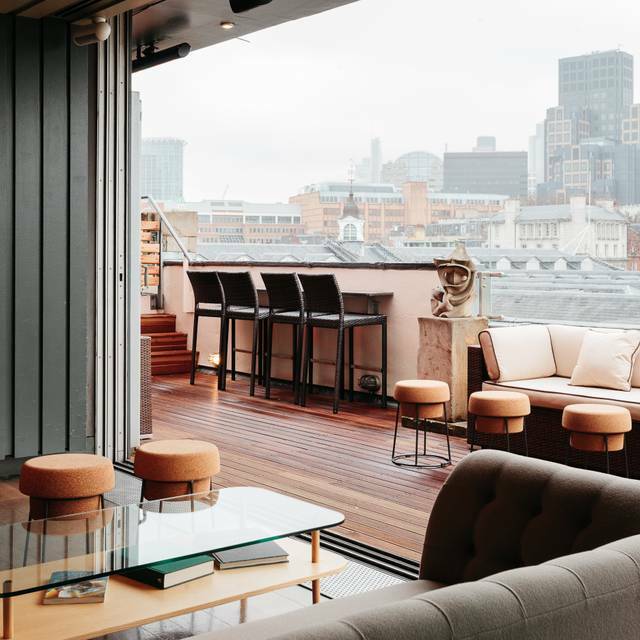 The breathtaking No.3 at ‘Smiths’ of Smithfield is a 4-minute walk from Farringdon Tube Station. 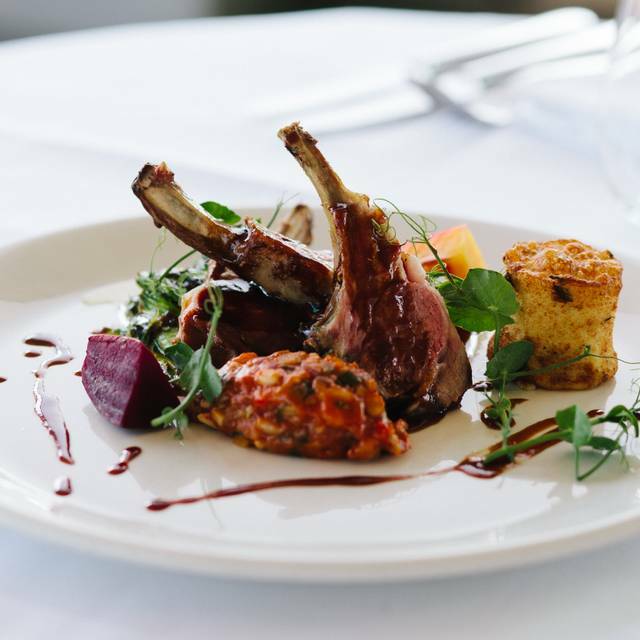 Smiths has three levels - bar on ground floor, bistro on second level and posh nosh on top floor with great views and a quiet and polished atmosphere. 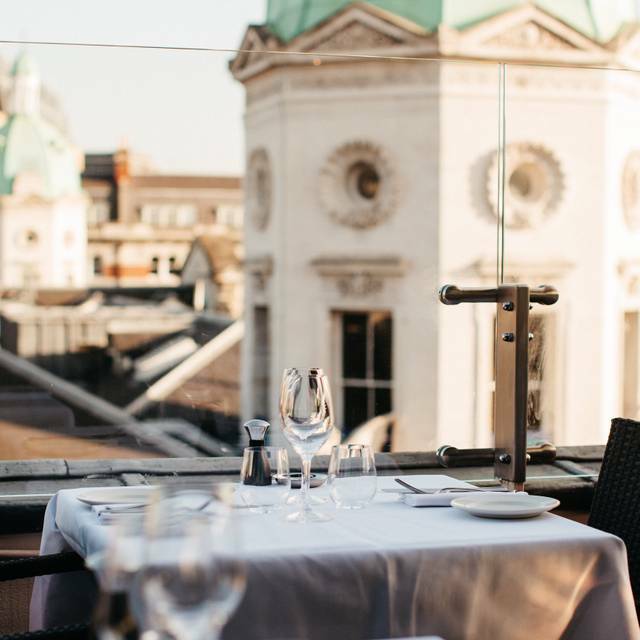 I have taken important clients to the top floor restaurant on several occasions (so that in itself is a recommendation) and it has always had the desired effect of rewarding good clients and impressing new ones. Being in Smithfield a steak is usually on the order and this time my guest and I shared the chateabriand at £95. It was cooked well (medium rare) and there was plenty of it. They place it on a small elevated rack on your table, it takes a while to get through that much meat so if they could add some sort of warmer underneath it would stay warmer. I did mention this to them but only at the end when I though of it. Even a tea light would help. Good food, good service, nice surroundings and great views. Big bill but (almost) worth it for the desired effect of a special occasion. It was ok. Just, ok.
4 of us celebrating 38th wedding anniversary . My wife is allergic to garlic but rather cook any fresh veg eg Carrots she had settle for a simple but very expensive steak and chips. The waiter did not handle this very courteously either. Doubt I would return. Worth a visit, food and service good. Slightly on the expensive side, but great for celebrations. Lovely views and relatively quiet on a Saturday night. A business lunch to celebrate a couple of good deals was rewarded by a very enjoyable experience overall. 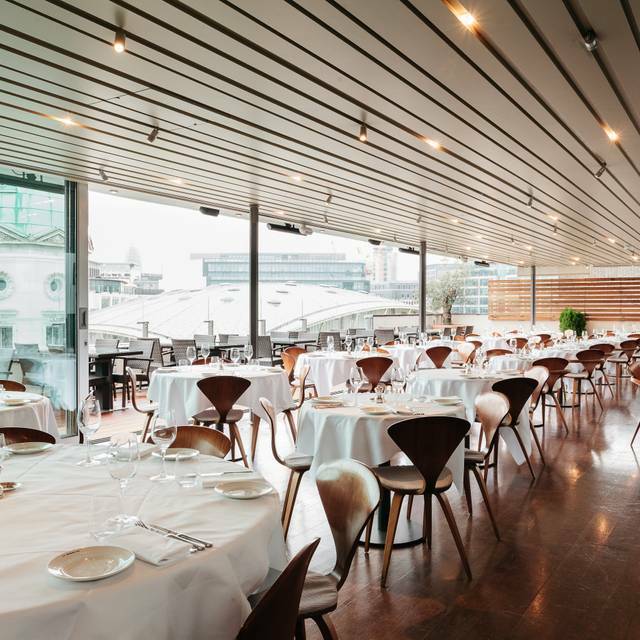 The clients loved the place - modern interior, very light and airy with fabulous views to the South over the roofs of Barts, Smithfield Market et al with St Paul's and the Shard in the distance from the glass curtain-walling and the excellent outdoors terrace (wrong time of year for our visit!) It was particularly sunny so the views were spectacular. Great service, nice wine and good wine advice from the charming lady Sommelier when the bin end Barolo I picked had sold - she advised a rather super St Joseph at the same price. Also an excellent and flowery Albarino to start. Having a gluten intolerance and not being allowed to have any of the steak sauces, it would have been nice to have an alternative to team with my plain fillet and triple cooked chips. However, the steak was very nicely cooked. More gluten free deserts (without nuts) would also have been nice. Awesome meal in great location. All good apart from rare steak was medium. Fantastic service! Started with an exquisite cocktail, great food and good wine list! Smiths of Smithfield #3 is just superb. Their signature steak and chips is superb. The octopus carpaccio was quite unusual and a welcome break from what you might find in other restaurants. Someone has spent a small fortune in refurbishing the top floor, the results are a super elegant beautifully appointed space. If only a small proportion of this money had been spent on better staff training. The service unlike the surroundings is not elegant but very pedestrian. I am sure the owners/management want to achieve a better level of service than at Cote but they need to work a bit harder to achieve this. Sadly the food and surroundings were let down by the lacklustre service. We had the Sunday roast last weekend. Not the most tender meat but the efforts that put into the roast is highly appreciated. Love the Yorkshire pudding and cauliflower and cheese. Note that the lamb roast is served with gravy instead of my personal favour mint sauce. Great service and great views from the terrace. When we arrived and early we were told that the restaurant was closed!!!!!! Great food as always and service appropriately attentive. Food could have been bought to the table more efficiently as the meat is cooling by the time the vegetables arrive. It was only a table of four. Lunch at Smiths on the top floor on a sunny day was very enjoyable. The food was very good especially the halibut we both had for the main course. Wine list is fairly short but has a good selection in the mid price range. Friendly and efficient service. The Chateaubriand was brilliant but there was not much variety on the menu for starters so we went for lobster mac and cheese which inedible. We had no alcohol and yet kept being asked if we wanted wine etc. Clearly having a deep conversation and kept being bothered every 10 minutes whether wanted more drink etc. I believe in an attentive service but not overbearing. Without drinks, main and just one side our meal came to £50 a head which isn’t the best value. The views are amazing and a nice terrace with a peaceful vibe. Unfortunately, Smiths of Smithfield Top Floor just isn't what it used to be. Arrived at 1pm on a Friday for a business meal, was there 15 minutes before I finally manage to get a drink, despite asking multiple times. As soon as my guest sat down a waiter came over and asked if we were ready to order food, which was incredibly rude considering my guest had arrived seconds before and hardly had had a chance to catch his breath. From this point onwards, it was a lot of pressure to order, multiple people coming from different directions to ask what we wanted, repetitive questions as staff were not communicating. We only ended up having one glass of wine and one beer between us throughout the whole 2hr45m, as no one ever asked if we would like another drink despite having empty glasses. I waited a long time for the card machine once I'd received the bill but in the end, went to the counter to pay as it took too long. Bad service, poor coordination. Staff need to communicate and be aware of what makes good standards of service. Possibly the best Sunday roast we've ever had, in beautiful surroundings. The service was wonderful too. We will certainly be back. Just a casual lunch meeting with an old work colleague. Great choice for Sunday Lunch. Terrace is fantastic weather permitting. Bit quiet when we visited so lacked a bit of atmosphere but suited us for a catch up and meant we were not rushed. Service was good and the team were very attentive when needed. My sons graduation was made special by such a lovely meal, great wine, views and service . Booked a sunday lunch for my daughters 21st birthday celebration; she loves a roast so this seemed like the place to go! Absolutely delighted with SoS. The service was impeccable, waiters attentive, helpful and friendly, and the food was excellent; nicely cooked, well presented, tasty. Views from the top floor restaurant are good too - rooftops of Smithfield, St Pauls, and Shard in the distance. Got a real sense of being in the centre of London, but without the crowds of tourists! We went there for a special occasion, my son's 21st birthday. Each floor of Smiths of Smithfield has a different character and so on arrival on the ground floor we were not quite sure. The top floor restaurant looks lovely, the view is superb. 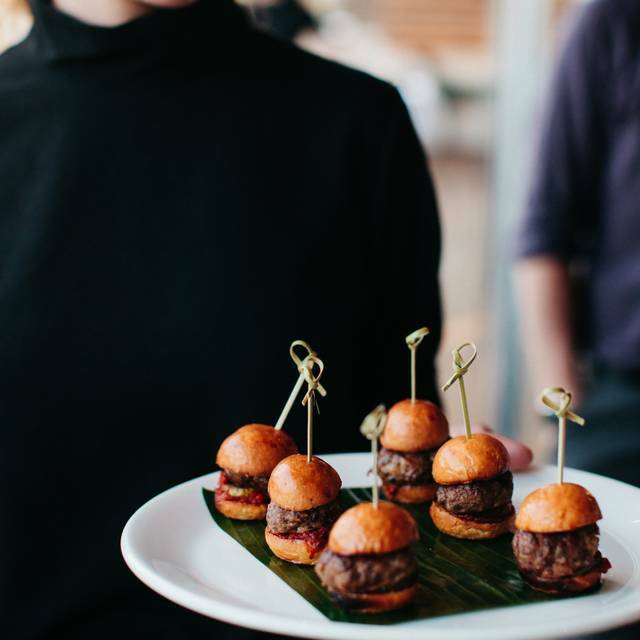 Every aspect of the service was excellent, attentive without being too much. Like other reviewers mentioned, you have to ask if they have any specials. We didn't fancy any of the starters and had steaks with a selection of side orders. The steaks were perfectly cooked, the sides superb. All in all it made for a really special occasion and would recommend this. 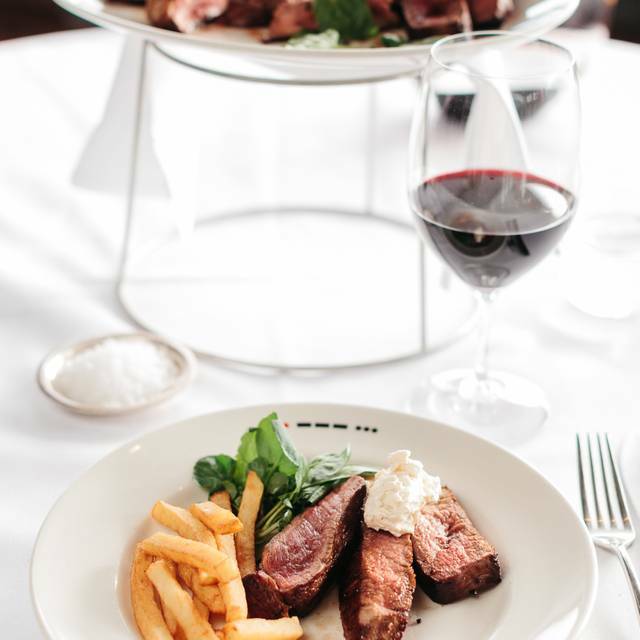 Full menu with excellent steaks and superb service. Lovely views, incredible food and excellent service. Great if you're looking for a relatively quiet central-based restaurant. excellent fillet steak, the view over the rooftops was great as it was such a nice evening. 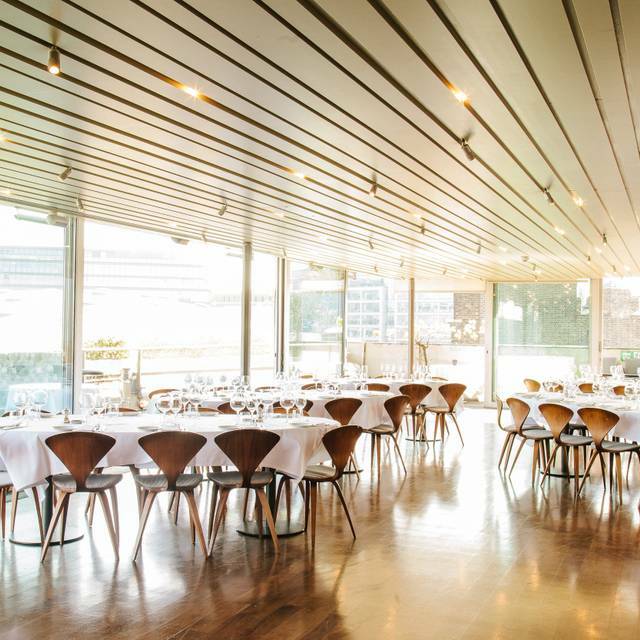 This is a glorious venue for a relaxed business lunch, great views , service, and good food. I took a client to The Top level and everyone thoroughly enjoyed it. The steak was cooked as each of us requested it and the sides were all yummy! The view looking out across St Paul's and the Shard was great. There were 4 of us and the bill came to £400. We all had a starter and a steak plus sides. Two bottles of red wine plus cocktails at the end. There are different levels to Smiths. The bar on the ground floor, another bar on the first floor, a slightly less formal restaurant and then the top level. If you wanted a slightly less formal meal, I'm sure the first floor would be just as good. Great value for money, definitely go back again. We went here late on a Sunday afternoon, the restaurant was quite which was perfect. Great place to go for a fantastic Steak. Really great atmosphere and service. If you love great steaks this is the place to go !! The food was good but service was very poor. Really good steak meal, but also had a first class vegetarian choice for our non- meat eater. Wine list was well matched to food and offered by the glass option for those who don't want the bottle. Staff were helpful and did not become over attentive. Thoroughly recommended for all occasions.